Oh no! Mr. Wright's class can't believe it. 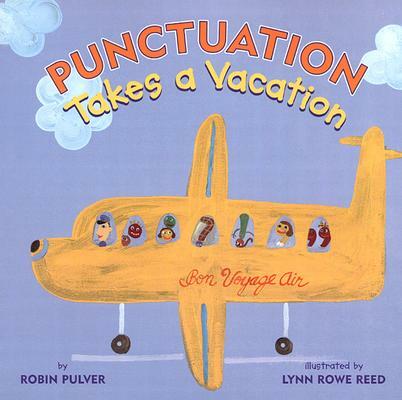 Every single punctuation mark in the classroom has gone on vacation! What will it be like without question marks, apostrophes, periods, and commas? Punctuation has never been as entertaining as it is in this wacky picture book. Robin Pulver is a popular picture book author whose website is robinpulver.com. She lives in upstate New York.